Pecan nut is the perfect for appropriate nutrition. 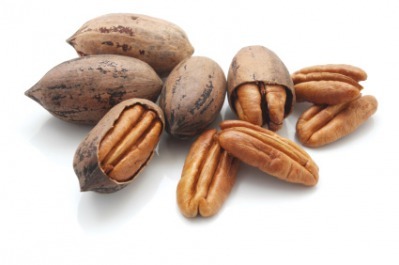 Also known as "oil walnut " pecan is rich in omega-3 and omega-6 fatty acids that help for sound health. It contains B vitamins, vitamins A and E and many minerals: magnesium, calcium, phosphorus, zinc, selenium, potassium. One of the best sources of easily digestible proteins. American scientists have discovered that this type of walnut contains a special form of vitamin E, which protects body from infections. Unlike other nuts, pecan nuts have a delicate texture that makes them easy to digest. They have ability to reduce high cholesterol by reducing levels of "bad" cholesterol and potassium and magnesium in them, make them irreplaceable for human health. The high content of manganese helps the thyroid gland.